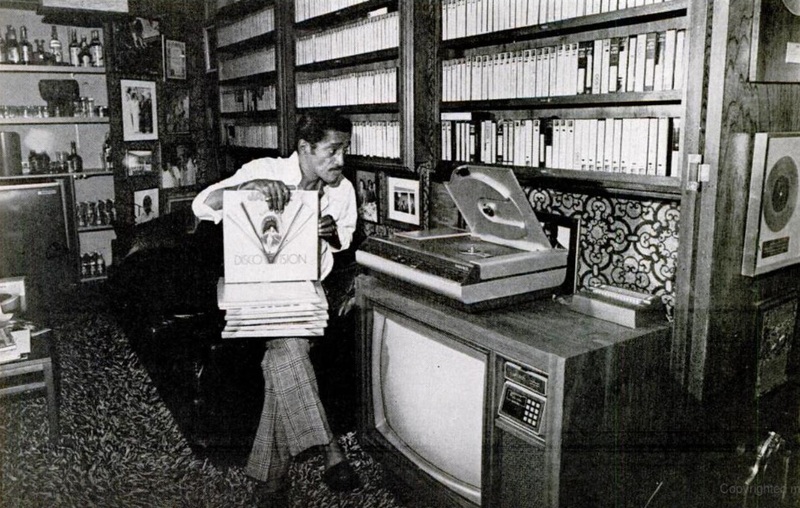 Today we’re taking a look at the great Sammy Davis Jr and his love of all things technologically new, specifically where it relates to his lifelong love of watching films. 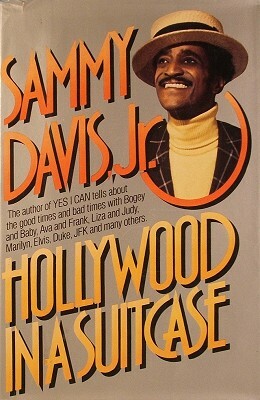 Sam’s second book “Hollywood In A Suitcase” is a great start to understanding the man and his love of movies, for not only did he like appearing in them, but he had a huge love of watching them as well. A good example is that while appearing live in Las Vegas Sam had 35MM projectors installed in his rooms and the hip place to be every evening after his show was the film screening party he’d throw at the end of the night. A classic film would screen, the drinks would flow and everyone had a good time, so good in fact that Sam would get blamed for hogging all the show girls who’d make a b-line for his pad after their gigs had finished. 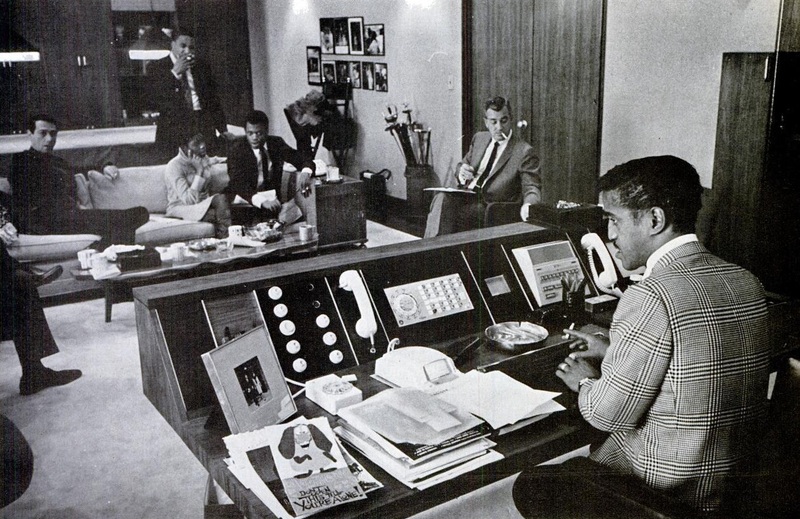 Below is a great picture of Sam conducting a business meeting in 1966, he’s sat in front of what would then be the height of technology, an all equipped desk that looks like something out of a Sean Connery Bond film. Skip forwards 8-years to 1974 and we can see Sam relaxing at home in what looks like a basement, surrounded by very early video tapes and a wall of vinyl albums, as well as some super stylish trousers. Now we get to the really good stuff, here we can see a much more detailed picture of what looks like the same room, but now it’s 5-years later and once again the technology has been updated, a bigger screen, smaller screens inserted into the walls, various other bits of equipment are also on display, but it’s the Laserdiscs that are really cool. Or should we say DiscoVision as that what Sam is actually holding in the bottom picture, Jaws 2 to be exact. Yes the DiscoVision was an early forerunner to the Laserdisc and helped to pave the way for the digital medium that slowly took hold through the 80s & 90s, then exploded in the 2000’s with DVD. Though if we had our way we’d still be using the name DiscoVision! 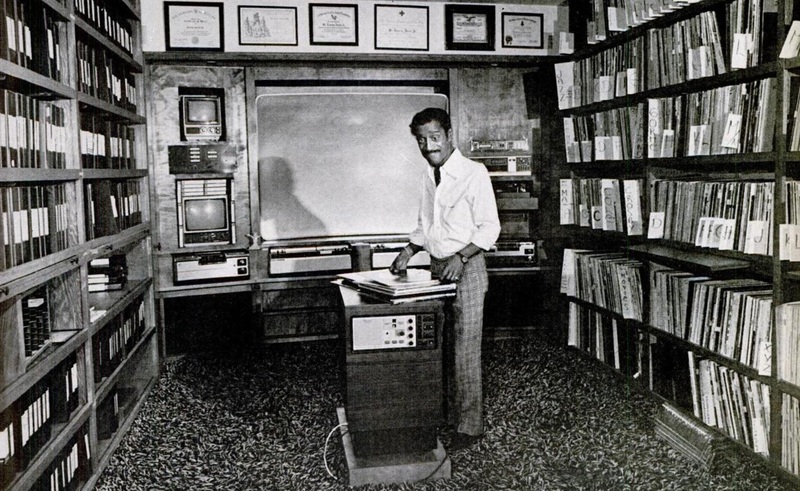 Also of note is that you can see more of Sam’s record collection, sections include: Jazz, Garland (Judy), Crosby (Bing), Cole (Nat King), Movies, proving that Sam was a man of great taste in music as well as movies. 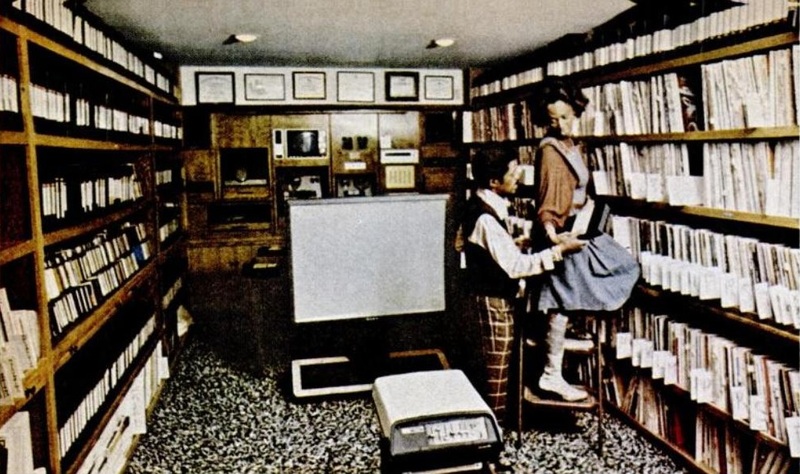 So there you go, Sam was one of us, a true movie fan through and through and you can imagine that if his den was updated today you’d see state of the art Blu-ray players, a gigantic projector screen and who know what else in the future!